Rugged safety boot combines top rated safety standards with a comfortable, breathable lining, plus a cut resistant upper for an astonishing protection. Water repellent leather upper with cut protection. Breathable SANY-DRY® lining, antibacterial, it absorbs and releases moisture, abrasion resistant. Rubber bump cap toe and heel reinforcement for extra protection and duration. Steel toe cap protection tested to 200 joules impact and Steel midsole penetration resistant to 1,100 Newton. Footbed with metatarsal support made of soft PU, full piece, antistatic, anatomic, removable, covered with cloth. The soft gel insert in the metatarsal area guarantees stability and comfort even on uneven surfaces. Dual Density PU/Nitrile rubber sole: exceptional abrasion resistance and ideal for environments where oils and solvents are used. Heat resistant to 300C contact. Cofra New Sheffield S3 Safety Boot conforms to: EN20345 S3 HRO CR SRC safety standards. V12 Colt Dealer Safety Boot is a classic dealer boot with pull up loops front and abck for easy fitting. It has easy access shape-retention side elastic gussets for a tight secure fit. The Colt has a lightweight boot composite toe cap , which offrs excellent toe protection. Flexible corrosion resistant steel midsole. Multi-directional tread provides excellent grip on a variety of surfaces. It offers offers superb heat resistance to 300°C. Complies with EN ISO 20345:2011 S1P HRO SRC safety standards. The Rawhide Safety dealer boots have been made from premium oiled brown leather. The oiled crazy horse leather upper is water resistant and breathable. It has been triple stitched to increase the boots overall strength. The sole is a genuine Goodyear Welted sole which is rugged and flexible. 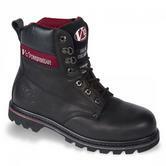 These dealer boots from V12 Footwear deliver reliable safety protection. They also have a wide fitting corrosion resistant steel toe cap for added protection. 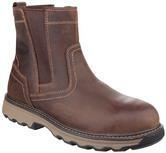 This dealer boot also incorporates a steel midsole, which protects the foot against punctures. Complies to EN ISO 20345:2011 SBP HRO SRA safety standards. Caterpillar Pelton safety boots with an impact and compression resistant 200 Joule composite toecap and Composite Midsole Plate, Penetration resistant to 1100 Newtons. Very comfortable EVA Midsole Construction, extra protection Anti-static and energy absorbing heel. High heat resistance Composite Safety Deal Boot, for up to 300C. Slip resistance SRC - Resistance against slipping on both ceramic and steel surfaces covered with water and cleaning products. A stunning looking product crafted from luxurious south american full grain leather, using the very best components from brassed eyelets to heavy duty threads and the famous v12 reinforcing rivets. This product is unique in the range as it combines anti-static properties with the Goodyear welted construction. Definitely the boot to be seen in. V12 Tomahawk Waterproof S3 Safety Rigger Boot has a tan vintage leather rigger boot with triple stitched seams. Thinsulate lining is a temperature control material which is designed to keep feet warm even at -20°C and cool in hot climates. Steel midsole, prevents sharp objects from penetrating through the sole, resistance to nail penetration is 1100 Newtons. The pull-on loops are heavily reinforced for strength.. The new rugged ankle support/protector and padded ankle help to provide stability. Heat resistant up to 300°C for 60 seconds. This boot comes with a waterproof, breathable lining, to keep feet fresh and dry. V12 Tomahawk Waterproof S3 Safety Rigger Boot conforms to: EN ISO 20345:2011 S3 HRO SRA safety compliant. 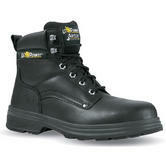 Safety rigger boots, used widely within construction. For extra comfort, the inside is lined with warm synthetic fur. Black Leather upper triple stitched for extra strength and Fur Lined for extra comfort in cold weather. Steel Toe Cap protection up to 200 joules and Protective Steel Mid-Sole. Wide fitting safety boots with dual density PU sole lightweight yet hardwearing and ideal for use in a variety of environments. Comfortable rigger Boots with fully moulded and removable insole. Blackrock Fur Lined SB-P Rigger Boot complies with safety rating EN20345 SB-P SRA. 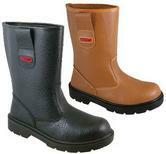 Safety wellingtons - offering comfort with high levels of protection. Dunlop 151PP has good resistance to acids, alkalis, oils, fats and various chemicals. Cross directional sole pattern for good liquid dispersal and slip resistance. 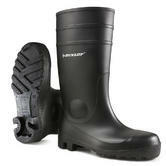 SB safety standard wellingtons with 200J steel toecap protection. Energy absorbing (shock absorbing) heel section. 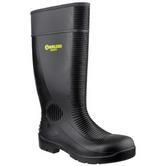 The Dunlop Purofort Pro C462933 Wellingtons are both practical and functional. Full insulation protection up to – 20 degrees C.
These lightweight wellies have a shock absorbent sole with easy clean treads to guarantee better grip. New lining: anti bacterially treated in Dunlop’s recognisable red. Improved insole: 3x better moisture absorption, 100% better energy absorption. Equipped with steel toe cap and steel midsole for impact and penetration protection. Resistant against minerals, animal and plant oils, disinfectants, and fertilizers. They are an excellent everyday farming boot. Dunlop Purofort Pro C462933 Safety Wellington complies with EN ISO 20345:2011 S5 CI SRA safety standards. The C462241 is a functional and well balanced wellington from Dunlop. 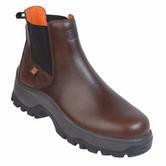 It is hardwearing and durable with steel toe cap and midsole protection for superb underfoot safety. It is constructed with an insulated waterproof polymer upper which keeps you comfortable and warm. It is resistant to oils and other chemicals and so is suited to a vast range of industrial environments. Complies to ISO20345 and EN345 safety standards. The Protomaster is a high performance steel toe capped wellington from Dunlop. It incorporates a protective steel midsole. It is manufactured with a waterproof PVC Nitrile upper which is tough and provides a good level of puncture-resistance. It also has an energy absorbing heel which protects the joints on impact on harsh ground. Acids, bases and disinfectant resistant. Complies with EN20345-S5 safety standards. PVC & Nitrile blend wellington boot with cleated sole. Steel toe cap with steel midsole, washable nylon lining. Good resistance to oils, acids, alkalis and fats. Conclusion: Exceptionally good value, black safety welly made with a blend of PVC & Nitrile. (We sell 1,000s of these). 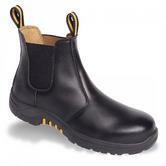 Comfortable and practical safety wellington with steel midsole and steel toe cap protection. Versatile wellington suitable for a huge range of industrial and farming applications. Double density ribbing on the upper gives additional protection to the shin bone. The cleated PVC sole offers very good slip resistance. These wellingtons provide excellent fit. They have an easy to clean tread which makes them practical for everyday use. Comfortable for use every day, with insulation the providing protection up to -20°C. 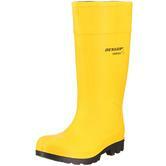 Dunlop D46933 Purofort Pro Non Safety Wellingtons are both practical and functional. Full insulation protection up to - 20 degrees C.
A disposable coverall for when you need to protect your clothes from dirt, grime, dust. Made of lightweight white, polypropylene, breathable fabric, elasticated cuffs and hood, front zip closure. Each disposable coverall comes complete with a collared neckline, a zip front closure, elastic wrists, and elastic ankles. They're ideal for many situations where a dry particulate barrier and repellency are needed. For use in non hazardous environments, protection against dust and grime. 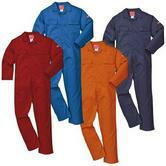 These coveralls are designed for welding, grinding or foundry work. They have covered pockets – to ensure that sparks don’t enter and burn through the material. They don’t have exposed metal zips – this prevents heat from being conducted through to your skin. These welding coveralls are made of thick cotton drill and designed to withstand use in engineering or heavy metal workshops. The cotton drill is treated with Proban to make it flame retardant. Possibly the most proven FR overall in the Northsea - with over 1 million garments sold. Made from 100% cotton, with Pyrovatex FR treatment, Nordic-style reflective tape at shoulders, arms & legs. The Wenaas cut and design ensures excellent comfort and fit. 350gm weight (9oz) Standard weight. Orbit International HFT Birch Over Trousers Practical overpants will keep you dry in event of rain, snow, when you are power-washing or any other activity that could leave you soaking wet. Orbit International HFT Birch Rain Over Pants conforms to EN343 Class 3:2 safety standard. Manufactured from 100% polyester providing a long lasting product. Elasticated cuffs provide a comfortable experience. Mashine washable, without loosing quality. Strong designs, more fitted sizes and top range materials: three qualities these fleeces will win you over with. 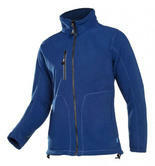 The Sioen Merida 612Z Fleece is made from breathable fleece material, excellent cold protection. Long zip pullers for extra comfort while opening the zipper. Round inset sleeves with elastic at end of sleeves. Outside have chest pocket and 2 inset pockets with zip closure. Made from 100% polyester double sided fleece; ± 285 g/m² fabric. 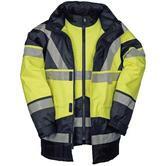 Sioen Merida 612Z Polyester Double Sided Navy Fleece complies to EN 14058 : 2004 Class 1 safety standards. Hi-vis rain jacket with detachable body-warmer. This multifunctional 4 in 1 product can be used in all weather conditions. It's water repellent outer fabric is 100% waterproof and wind-proof, yet remains highly breathable. Taped seams give it a high tear resistance. Made from 100% polyester fabric with 100% PU coating. Sioen Skollfield 209A Hi Vis Waterproof Jacket/ Bodywarmer complies with EN ISO 20471 : 2013 / Class 3 & EN 343 : 2003 + A1 : 2007 / Class 3-3 safety standards. Farming & forestry is the riskiest industry for fatal injuries. While only 1 in every 100 workers works in agriculture, it accounts for a colossal 20% (one in five) of all worker deaths in the UK! Sorry - we didn't mean to scare you - but just to highlight the risks within your work. You can increase your work safety in our workwear. We have safety footwear with reflective tape; Flame retardant boilersuits and wetwear; cut resistant gloves. Too many items to mention here - but go an explore our range of safe Workwear at North Sea Workwear.